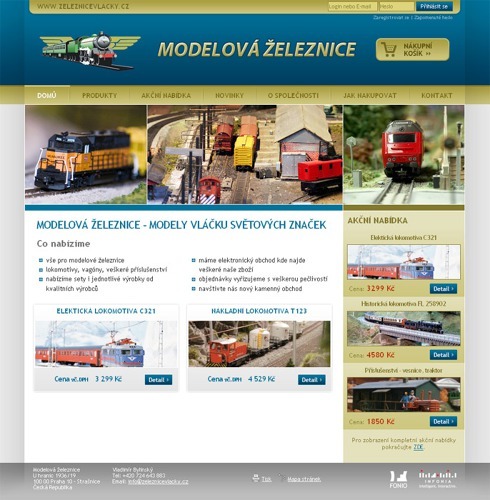 E-shops designed by Infonia are different than others. 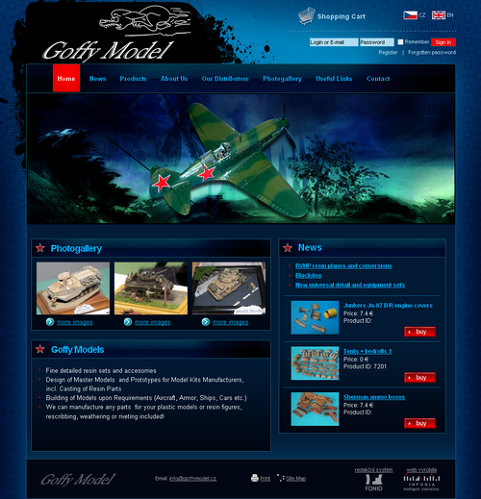 They are based on a unique catalogue which exceeds the possibilities of competition against other web sites. Any product or service can be inserted, described, have pictures, comments from clients, video and an interactive map added. Items can be easily classified into categories. Prices, reduction weights, volumes and colours can be allocated. You can also announce special events and organise surveys. All of this is possible in many different languages. If your goods do not find customers, your shop threw money. E-shops from Infonia makes it easy. Work well with multiple search engines (Google, Yahoo, Seznam), focused on the products. 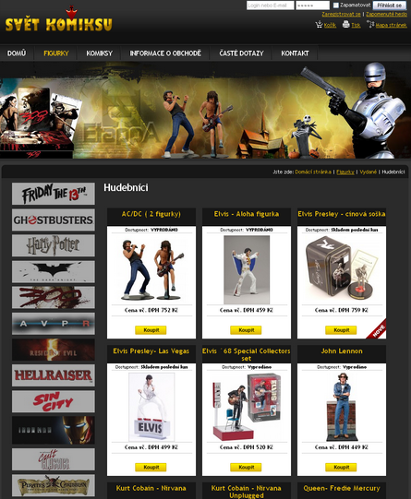 The added ordering system (shopping cart) allows customers to select products from the catalogue, order and even pay. Online store from Infonia offers payment by credit card or the popular internet bank PayPal. Orders can be monitored and settled directly over the internet. Infonia clients include sports shops, design studios, pharmacies, furniture manufacturers, shops and fashion boutiques, photo retailers, electrical appliances and mobile companies.